US and Belgian officials will resume negotiations in the coming months over a plan to post American border guards and customs officers at Brussels Airport. The officials would carry out checks - scanning passports and taking fingerprints and photos - on all passengers with a direct flight to the US, before they board their plane. The "pre-clearance" system has existed for a number of years at Dublin and Shannon airports in Ireland - where authorities claim it can save passengers up to two hours on arrival. In May 2015, the US announced plans to extend the system to a dozen other airports including Amsterdam and London Heathrow - and Brussels Airport was the top priority. Belgian foreign minister Didier Reynders told parliament last summer: "I hope that Belgium will become the next country to set up such a regime, but it will not happen overnight." Contacted by RTBF, a spokesman for Reynders said negotiations would continue in the coming months "to iron out some points of divergence". "The last meeting was held in December," he said. "There is a real desire on both sides to move forward." Working groups have been set up to deal with operational issues, such as where the new facility in the airport would be located, firearm management and any other legal issues that might arise while US agents are operating in Belgium. 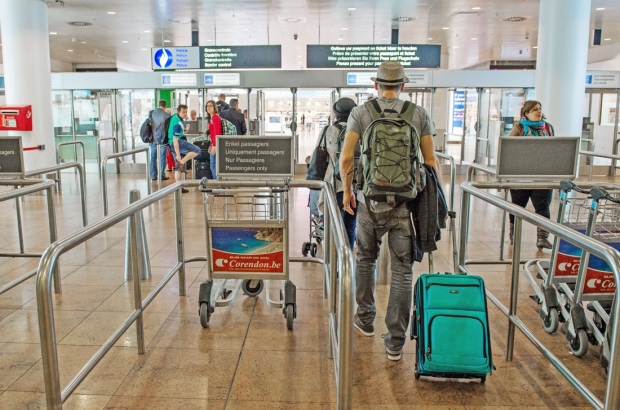 A Brussels Airport spokeswoman said the task of finding space for the new security checks - and redesigning the walking route that passengers must follow - was "not huge" and some initial plans had already been drawn up.